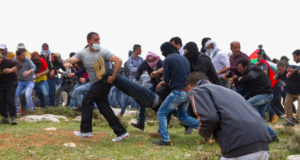 On two different occasions while Palestinians, accompanied by international activists, peacefully blocked roads leading to illegal settlements to demonstrate against the occupation and settlements, settlers purposefully injured activists in hit and run incidents. On November 14 while a group of protesters blocked a road leading to an illegal settlement, a settler tried to drive through the crowd, then accelerated, deliberately hitting an international activist, as the activist was trying to get out of the way. The activist hit the front of the car, then bounced off the windshield and hit the ground. The settler then drove away, careless about what he had just done. 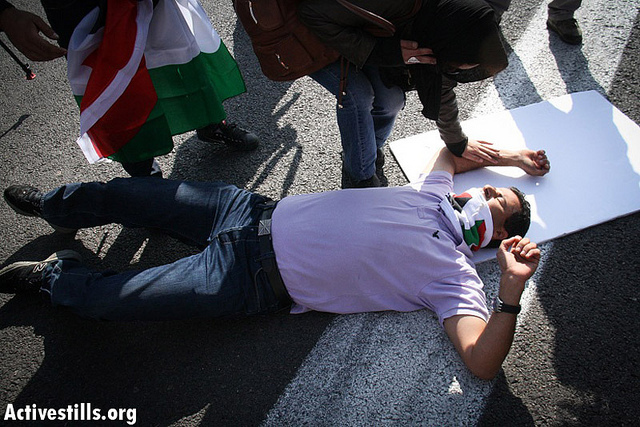 An ambulance was called, and the activist was treated for injuries to his head and arm. 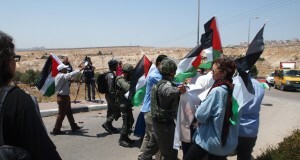 A similar incident occurred on November 19, as a roadblock protest was held on another settler road. 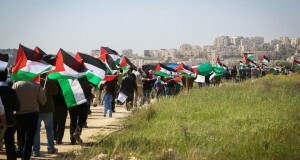 As a settler car approached the crowd, he accelerated into Palestinian popular struggle coordinator Abdallah Abu Rahmah, hitting him with his car, before fleeing the scene. Abdallah was treated in hospital but was released later that day. Israeli army soldiers were present at the scene, but didn’t do anything to prevent the settlers from acting in violent ways, and allowed them to flee the scene. The settlers seem to be above the law. They continually get away with violence, destruction of property, and constant harassment against the Palestinians, while the soldiers usually protect them, because they have Israeli citizenship. Incidents similar to these happen constantly all throughout the West Bank, while soldiers and authorities turn a blind eye.